Bob’s practice includes work with banks and bank holding companies, representing clients in the organization, purchase and sale of numerous banks and bank holding companies throughout Nebraska, Colorado, Kansas, Iowa, South Dakota, Wyoming, Montana, Minnesota and Arizona. 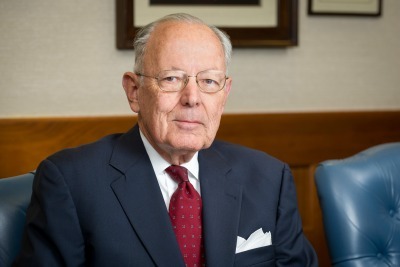 He has represented banks and bankers in all types of enforcement actions before all federal regulatory agencies, including the Federal Reserve, the Federal Deposit Insurance Corporation, the Comptroller of the Currency, and various state agencies. Bob has assisted clients in raising capital through private offerings and registered offerings that include the issuance of trust preferred securities. He also advises clients on a wide range of securities law issues and business transactions.